Directly modelled after the contemporary world. 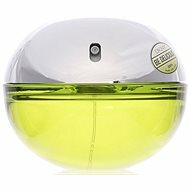 The clear, fresh fragrance perfectly captures the modern sense of light. Estee Lauder Pleasures is a deliciously delicate floral aroma made of lilies, peonies, jasmine and Karo-Karounde blossoms, are leading to the delicate baie rose base. 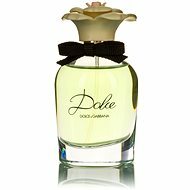 The parfum is ideal for any modern woman looking to experience everyday pleasures to the fullest. Violet, Lily, Patchouli , Peony, Rose, Lilac Done! For shipping to other EU countries visit this page ESTÉE LAUDER Pleasures EdP 50ml. Für Versand nach Deutschland, besuchen Sie bitte ESTÉE LAUDER Pleasures EdP 50 ml. Chcete doručit zboží do Česka? Prohlédněte si ESTÉE LAUDER Pleasures EdP 50 ml. Chcete doručiť tovar na Slovensko? Prezrite si ESTÉE LAUDER Pleasures EdP 50 ml. Für Versand nach Österreich, besuchen Sie bitte ESTÉE LAUDER Pleasures EdP 50 ml. Magyarországra történő kiszállításért tekintse meg ezt a termékoldalt: ESTÉE LAUDER Pleasures EdP 50 ml.